The United Nations Children's Fund ("UNICEF") in Ivory Coast has recently completed the construction of nine classrooms, built from recycled plastic. This innovative approach allows the UN agency to contribute to the protection of the environment while promoting children's education. We were already used to paving stones, shoes, bags… made from plastic waste, but now we will also talk about buildings. 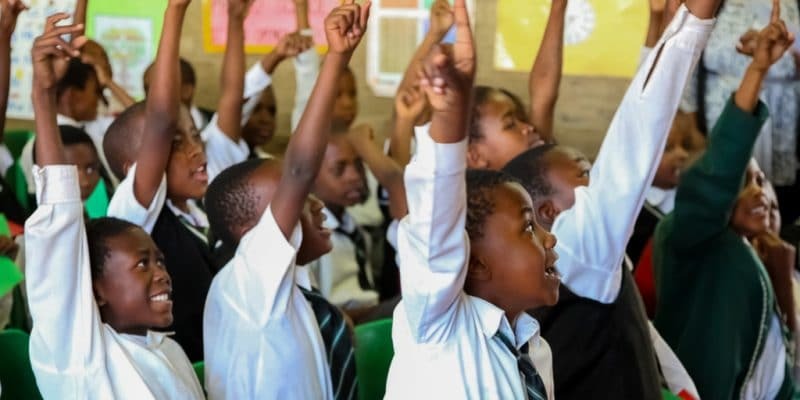 The United Nations Children’s Fund (UNICEF) announced on February 20 that it will build “nine new recycled plastic classrooms for 450 primary and pre-school children” in Gonzaville, an Abidjan neighbourhood, in Divo (South) and Toumodi (Centre). The UN agency says the rooms will be “waterproof, fireproof, designed to withstand strong winds and heavy rainfall, and recycled plastic bricks are easy to assemble. They are quick and less expensive to build than regular classrooms. A room is set up in 21 days and costs “about 30% less expensive and lasts 50 years longer” than ordinary buildings, says Unicef. The construction of one of these classrooms requires eight tons of plastic waste. These ecological constructions are beneficial in more than one way: according to Unicef, they “provide every child with an environment conducive to learning, combat plastic pollution and create jobs”. It is a necessity for Ivory Coast, where the Abidjan District alone produces at least 300 tonnes of waste every day. The UN agency is currently studying a partnership to open a plastic waste processing plant this year (2019) in order to stop recycling plastic waste in Colombia. The objective is to employ Ivorians who make a living from the recycling of plastic waste. This year’s ambition is to recycle 4,800 tonnes of plastic waste and build 30 classrooms that will accommodate 1500 schoolchildren. Apart from polluting the environment, plastic waste found in nature clogs up pipes. As a result, runoff stagnates and turns into a source of diseases (diarrhoea, malaria, etc.) that are often fatal to populations.